Effective learning requires active participation. 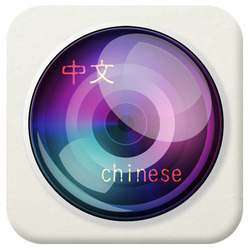 This app encourages you to actively participate in learning Chinese words. For each word you seek out objects, items, people, etc in your life that represents the meaning of the word. A static or generic image representing the word is much less meaningful than snapping a photo in their own context. E.g. Isn't it better to have an image of your mum associated with the word 'mum' than a generic image of a female (which can mean many other things). The process of seeking out suitable image would itself strengthen your learning. • Basic Chinese characters in multiple categories. There are 5 categories (e.g. number, appellation, body, food, color) in the first version, and more will be added. • English meaning. Each Chinese word is associated with the corresponding English word or meaning. The benefit is that it you learn English as well. • Images representing the words. You can take photos (as well as adding a photo from your photo library) of things that represent the word in your life. This gives real meaning to the photo. You can also change the photo. • Pronunciation. The pronunciation of the word in English is provided. You can also listen to the pre-recorded pronunciation of each word. This version comes with the Cantonese pronunciation. Future updates will include the Mandarin pronunciation. • Slideshow. Each word can be displayed in a slideshow (landscape) format. Each word is shown automatically (with or without audible pronunciation).